What booth sizes are available, what is included and required, and additional options are available. 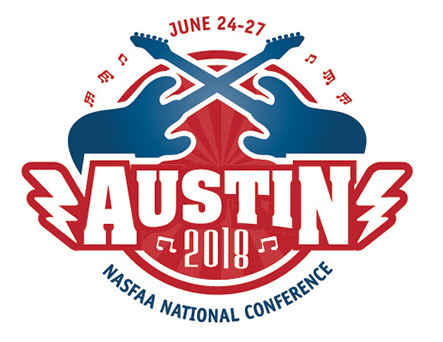 Learn more about the benefits of exhibiting at the NASFAA National Convention in this short video. Nearly 20,000 student financial assistance professionals at approximately 3,000 colleges, universities, and career schools across the country. NASFAA member institutions serve nine out of every 10 undergraduates in the U.S.
NASFAA conferees represent all sectors of post-secondary education including private and public 4-year and 2-year colleges/universities, and proprietary schools. Targeting 350 – 400 attendees in 2018, half of whom are current or incoming state and regional association representatives and half of whom are new or aspiring Financial Aid Directors. Exhibiting and sponsorship opportunities are available. With over 21,000 financial aid administrators receiving our daily newsletter email and with access to our website, this is the sure-fire way to reach your target audience year-round.